It’s pretty amazing to think that there are still dinosaurs that haven’t been discovered yet by paleontologists, but the ground still holds an untold treasure trove of dynamic dinos just waiting to be revealed. The newest addition to the fossil record comes to us from the the African savanna where the fossilized footprints of a previously unknown “mega-carnivore” were located in Lesotho. 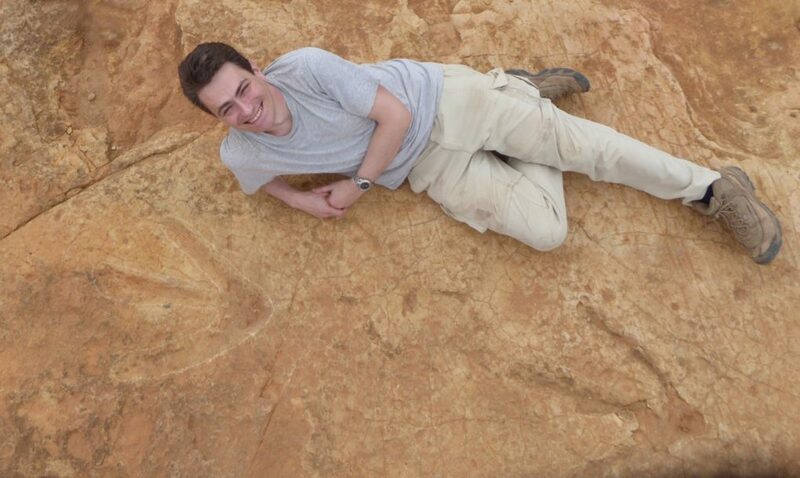 researchers have dated the footprints to around 200 million years ago, in the early part of the Jurassic period. Based on what they’ve discovered so far, they think that it was probably on par with the T-rex or Allosaurus, but it looks like this beastie may have actually been the first of the group to ever roam the planet. Measuring at a whopping 22-inches-long and 20-inches-wide, the footprints are the largest of fossil their kind ever found in Africa. While this finding was the first one significant enough to warrant a name, researchers also note that similar tracks have also been located in Poland.